​Papal—Religious Questions Raised At The Democratic Convention. Question (1924)—What is the significance of the raising of the religious question at the Democratic Convention at New York? Question (1975)—How do you harmonize Acts 9:17, 18, which tells of Ananias, who was not an Apostle, putting his hands on Saul (Paul), etc. with the teaching that only the Apostles had the power to bestow the “gifts” of the Spirit by the laying on of their hands on others, as was set forth in the April issue of The Bible Standard, pages 26, 28? Answer.—That only the twelve Apostles had as a special prerogative of their office the power to bestow the “gifts” of the Spirit upon others by the laying on of hands is evident from Acts 8:5-24; 19:1-6. Certainly Paul could not and did not receive his appointment as an Apostle by virtue of any power of Ananias or any other man, for God reserved to Himself alone through Jesus the prerogative of choosing and appointing all of His Apostles (Acts 20:24; 1 Cor. 12:18, 29; Gal. 1:1, 16; Rev. 21:14; see Bible Standard No. 325). It was not even in the power of any Apostle or Apostles to elect or appoint another Apostle. The selection of Matthias as a supposed successor of Judas as an Apostle, by the Apostles (Acts 1:15-26), who had been instructed to wait, was never authorized or recognized by God. We hear nothing further about Matthias in the Bible. It manifestly was Paul, appointed by God Himself through Jesus, who was to take Judas’ forfeited bishoprick--office or charge—as an Apostle (v. 20), and who so ably filled that office, as the Scriptures show. (a) In Acts 9:15, God told Ananias that Paul “is [i.e., already] a chosen vessel unto me.” (b) Acts 22:14 records Ananias telling him that “the God of our fathers hath chosen thee.” (c) In Acts 26:9-20, Paul relates that the glorified Jesus spoke with him, and he indicates that by God’s authority our Lord appointed him as an Apostle at least three days prior to Ananias’ visit; for we read that the Lord told him “I have appeared unto thee for this purpose, to make thee a minister” (v. 16). He then commissioned Paul to go to the Gentiles, adding “unto whom now [i.e., from then on] I send thee” (v. 17). One requirement for being an Apostle was that one must have personally witnessed Jesus after His resurrection (Acts 1:2, 3, 22; 2:32; 22:14, 15; 26:16; Rom. 15:15-20; 1 Cor. 15:7, 8; Gal. 1:1, 16). This was accomplished by our Lord’s appearing to Paul on the Damascus road. As a consequence Paul was then commissioned by Divine authority as an Apostle to be a special “witness both of these things which thou hast seen, and of those things in the which I will appear unto thee” (Acts 26:16). This was all done several days before Ananias visited him. Apparently God’s use of Ananias, was recorded in Acts 9, was additionally in part to confirm Paul in the Apostolic office already given to him, and to pronounce the Divine blessing upon his ministry. Ananias also instructed him as to baptism (v. 18; 22:16). (1) From Acts 9:10-16 it is evident that the special reason for Ananias’ “putting his hands” on Saul was “that he might receive his sight” (v. 12; 22:13). It evidently was a common practice for those with the “gift” of healing (1 Cor. 12:9, 28, 29)—both Apostles and non-Apostles—to lay their hands on the sick in order to heal them (Mark 16:17, 18; Acts 28:8, etc.). Certainly there was a thriving Christian community at Damascus, else Saul would have specially besought the high priest at Jerusalem for “letters” to the Damascus synagogues, with the express purpose of apprehending Christians there (Acts 9:1, 2; 22:5; 26:10-12). Most likely the brethren at Damascus—including Ananias, a faithful disciple of Christ, who was of good report and probably prominent there (Acts 9:10; 22:12, 13)—were in frequent contract with the church at Jerusalem, for Saul’s persecuting activities were well known to Ananias (9:13, 14; compare 8:3, 4; Gal. 1:3). Therefore Ananias probably had received from one of the Apostles his “gift” of healing, for, as we have seen, it was usual for the “gifts” to be bestowed on consecrated Christian believers by the Apostles. Paul’s being dealt with in this special manner no doubt served to highlight his office and ministry from the very outset. (a) Representation. When Aaron and his sons laid their hands on the head of the bullock in the priestly consecration service (Lev. 8:14), the act symbolized that the bullock stood for, represented, them. Again, when Aaron laid his hands on the head of the scapegoat (Lev. 16:21), he thereby symbolized how the goat represented him from a certain standpoint (see Tabernacle Shadows for details). (b) Sanction, or endorsement. Acts 13:3 shows this clearly; the Antioch Church is set forth as sanctioning, or endorsing, Paul and Barnabas in going on a missionary journey on their behalf. Deut. 34:9 shows that Joshua, because he was properly qualified and filled with God’s Spirit of wisdom, had been endorsed by Moses to be his successor. Moses laying his hands on Joshua and Joshua’s being “full of the spirit of wisdom” cannot mean that he had received any “gift” of the Spirit, for the “gifts” were not given before Pentecost (Mark 16:17, 18; Heb. 2:3, 4). Other examples of laying on of hands with this meaning are found in Gen. 48:13-18; 1 Tim. 5:22, etc. (c) Blessing others. Matt. 19:13, 15 and Mark 10:16 show this. Obviously Jesus’ laying His hands on little children was not to bestow the “gifts,” nor to heal them of sickness, but to bless them. (d) Performing healings. This has already been discussed sufficiently under point (1). (e) Bestowing powers or “gifts.” This is apparent from Scriptures already examined. See also 2 Tim. 1:6. In the early Church the “laying on of hands” was evidently a fundamental doctrine in itself; an understanding of it and the related obtaining and use of the “gifts” then available to the brethren was then considered necessary (Heb. 6:2). (3) Although the expression “filled with the Holy Spirit” and similar expressions sometimes signified the receiving of the “gifts” (Acts 2:4; 10:44-48; 19:6, etc. ), they often did not. For example, Acts 6:3-6 shows that the deacons Stephen and Philip (later called the Evangelist—Acts 21:8) were already “full of the Holy Spirit” (vs. 3, 5) before the Apostles laid their hands on them, after which they each possessed a “gift” (v. 8; Acts 8:5-13), though obviously they were unable to confer “gifts” on others (Acts 8:14-19; see Bible Standard No. 469, p. 28). It was in this sense that Paul was especially “filled with the Holy Spirit” (Acts 9:17; 13:9, etc. For no doubt the words of comfort and reassurance spoken to him by Ananias quickened his understanding and appreciation of his ministry for the Lord and His people; and this quickened appreciation no doubt deepened his spirituality. God’s disposition permeated his whole being through and through, making him more powerful in service for the Lord and more fully aware of his sonship with God (Psa. 119:50; Heb. 4:12; Jas. 1:18). In Rom. 8:14 we read: “For as many as are led by the Spirit of God, they are the sons of God.” By the Spirit of God here the disposition of God in His consecrated children is meant. His disposition blends in perfect harmony, His attributes of wisdom, justice, power and love. Those whose motives, thoughts, words and acts are actuated and sustained by this disposition, are sealed by God as His own. Therein all of such have the strongest possible witness of their sonship with God. If this were not the most important aspect of being “filled with the Holy Spirit,” then we would have to conclude that no one could be a true Christian without the “gifts”—a conclusion contrary to the Scriptures (Rom. 8:1, 5, 6, 9, 10; 1 Cor. 3:16; Gal. 5:22; 1 Thes. 5:19; Eph. 5:18, etc.). (4) In each of the Scriptural accounts of the conferring of the “gifts” (notably the “gift “ of tongues) upon believers, and where the expression (or its equivalent) “filled with the Holy Spirit” occurs, it is also clearly stated that there was also some early consequent manifestation of the “gifts” having been received (Acts 2:4; 8:17, 18; 10:45, 46; 19:6). However, in the account form Acts 9:17, 18, al-though it is recorded that Paul “received sight forthwith” (v. 18), after Ananias had “put” his hands on him, nowhere does the record show that there was any manifestation of a “gift” or “gifts”—not even the “gift” of tongues, and we know from 1 Cor. 14:18 that Paul did in fact possess the “gift” of tongues-speaking. This fact argues against the thought that Ananias conferred any “gifts” of the Spirit upon Paul. (5) the Apostles at Pentecost did not receive their “gifts” or the power to bestow these “gifts” upon others through the “laying on of hands,” their appointment as Apostles being made by God through our Lord Jesus Christ, even as He had promised (Luke 24:49; John 14:26; Acts 1:4, 5, 8); and the Apostle Paul was at least the equal (2 Cor. 11:5; 12; 11), if not the greatest (2 Cor. 12:7) of the Apostles; therefore it is obvious that he could not receive the Apostolic office (including the “gifts” and the prerogative of bestowing these “gifts” on others) at the hands of another. Question (1959)—In your “Faith Healing” booklet (p. 4) you show that the “gifts” of God’s Holy Spirit or power, given to the early Church to aid in its establishment, were “for a sign, not to them that believe, but to them that believe not” (1 Cor. 14:22); that “those who possessed the gift of physical healing did not pray in connection with its use, but instead commanded the healing (see e.g., Acts 3:11),” and that “they did not exercise this gift for the benefit of self-healing, nor for other members of the Church, but only for outsiders, as a witness.” The Scriptures you use seem to prove your statements; but did not the Apostle Paul himself (2 Cor. 12:7, 8) pray for, instead of command, the removal of his “thorn in the flesh,” his “infirmity of the flesh”? and was he not thus seeking to use his “gift” of healing for himself, a believer? Question (1974)—Does not the Apostle’s language in Phil. 1:23, “Having a desire to depart, and be with Christ,” prove that the dead are still conscious after death? Answer.—A close analysis of his language both preceding and following this verse, and of parallel passages, does not favor such a thought. In these verses (Phil. 1:20-25) the Apostle tells us that he does not know whether to prefer life with its sufferings and its blessings of service for the brethren or death with its release from labor and sufferings. He confesses himself as hard pressed as to which he should choose of these two things, life or death (vs. 22, 23). As between these two things, therefore, it was a matter of indifference to him which he should choose, since both had such accompaniments that he could not decide which of the two would be the more desirable. But in v. 23 he mentions two other things that are far better than life or death; therefore these two things must be a third and a fourth thing. These third and fourth things are stated in the King James Version as departing and being with Christ. The Greek word analusai is in this verse translated “to depart”; but in the only other passage of the New Testament in which it occurs it is rendered “return.” “Be ye yourselves like unto men that wait for their lord when he will return from the wedding” (Luke 12:36). The word analusai means both to depart and to return in classical Greek. Which of these renderings fits in Phil. 1:23? It will be noticed that in the Luke passage the word is used in a parable illustrative of our Lord’s Second Advent. Our Lord taught us that our reward would be given us at His return from Heaven, and not before (Matt. 16:27; Rev. 11:18), in the resurrection, and not before (Luke 14:14); that the spirit is to be saved in the Day of the Lord, and not before (1 Cor. 5:5), and that it would be only after His return and His elect would see and be with Him (1 John 3:2; John 14:2, 3; 1 Thes. 4:16, 17). Hence St. Paul believed that he would for the first time see and be with the Lord Jesus after the Lord’s Second Advent. These considerations prove that the word analusai should in Phil. 1:23 be translated, not depart, but return. Hence the translation should read, “Having a desire for the returning of, and the being with Christ.” These, of course, are the things that are by far better than the other two things—life or death; and we immediately recognize them to be things different from life and death. This is that blessed hope that God has given us to cherish (Phil. 3:20; 1 Thes. 1:10; Titus 2:13; Rev. 22:20). And this was the hope that he Apostle expressed in Phil. 1:23, which is to be realized at Christ’s return, through the resurrection. Peace—How To Find It And Gain Knowledge. Question (1969)—I have joined a church; I pay my dues, take part in various church activities and am a member in good standing; but I do not feel peace in my heart and I cannot get satisfactory answers to many of my questions from the pastor or any of the elders or teachers in the church I attend. What should I do? Answer.—Why not go to the Bible, the Word of God, to get real peace and clear and logical answers to your questions? Many people seem to think that joining a church is the important things and that salvation depends on it. It is generally broadcast on the radio and in the public press, to Jew, Catholic and Protestant alike, to “attend the church of your choice.” Thus people are directed to sectarian systems, organizations and social clubs (which most sectarian “churches” really are), instead of the pure Truth of the Word of God. If virtue lies in joining and attending a church, then why not join and attend a dozen of them? And if true doctrine makes little or no difference, then why not join all kinds—Jewish, Catholic, Unitarian, Trinitarian, Christian Scientist, Mormon, and what have you—and attend each in turn? The spirit of ecumenism and the suppression of public discussions of the Bible or of religious differences for fear that someone might be offended, are largely responsible for the indifference as to what the Bible really teaches as the Truth on various subjects. God says: “My people are destroyed for lack of knowledge”; “therefore my people are gone into captivity, because they have no knowledge” (Hosea 4:6; Isa. 5:13). Indeed, the days have come when there is “a famine in the land, not a famine of bread, nor a thirst for water, but of hearing the words of the Lord” (Amos 8:11). In coming to God to be joined to Him, instead of merely to some sectarian church, we must first recognize our undone sinful condition and our need of a Savior. After we then repent for sin, God points us to Christ (John 6:44). Just as “repentance toward God” is the first step, so “faith toward our Lord Jesus Christ” is the second step (Acts 20:21). “Believe on the Lord Jesus Christ, and thou shalt be saved”—from Adamic condemnation; for “there is no condemnation to them which are in Christ Jesus” (Acts 16:31; Rom. 8:1). Jesus’ blood was shed as our ransom-price, shed “for the remission of sins” (1 Tim. 2:6; Matt. 26:28; Eph. 1:7; Col. 1:14). “Therefore being justified by faith, we have peace with God through our Lord Jesus Christ” (Rom. 5:1). And if we would have “the peace of God” rule in our hearts (Col. 3:15), we must take the next step, namely, consecration, and be faithful in it. We must dedicate ourselves fully to God laying down self-will and accepting His will in all things (Matt. 16:24; Rom. 12:1). We then rest fully in Him; “for we which have believed do enter into rest” (Heb. 4:3); “and the peace of God, which passeth all understanding, shall keep your hearts and minds through Christ Jesus” (Phil. 4:7). Question (1977)—Does the word perishing as used in the Bible, mean to continue to live in any sense, such as eternal existence in torment? Answer.—No! The Bible very clearly shows that to perish is to cease to live. If Christ had not died as “a ransom for all” (1 Tim. 2:6) and had not risen from the dead (1 Cor. 15:3), and had not thus provided for a resurrection awakening for mankind, there would not have been any future life for any of them. If there were no resurrection, even the Church, the Body members of Christ, would have perished eternally at death. “Then they also which are fallen asleep in Christ are perished” (1 Cor. 15:18). If, as many creedal theologians teach, perishing means to continue alive in eternal torment, the Bible surely would not speak of perishing as possible for the Prophets and Jesus’ Apostles (Matt. 8:25; Mark 4:38; Luke 11:50, 51; 13:33). Also, the swine would not have perished in any such sense (Matt. 8:32). In John 3:15 and 16 (which already has been treated in an article in this issue), Jesus properly and clearly makes the contrast between perishing, ceasing to live, and its opposite, having everlasting life through faith in Him as Savior. The Greek word apollumi, translated perish in v. 16, means “to destroy fully” (Strong) “to destroy, i.e., to put out of the way entirely, abolish, put an end to, ruin”(Thayer). Question (1962)—How can we harmonize God’s character with His raising up Pharaoh to make known His power and glory, as taught in Rom. 9:17? Answer.—We are not to understand this language to mean that God coerced Pharaoh’s will made his heart wicked. Rather, we are to understand that the time having come for Him to deliver His oppressed people from their oppressors, and for His Justice to mete out condign punishment to the Egyptians for their wickedness toward Israel, God by death removed other prospective heirs to the Egyptian throne, so that the particular Pharaoh of our question would be on the throne of Egypt at the time of Israel’s deliverance and of Egypt’s punishment. His obstinate character could be depended upon, without external coercion, to resist the purpose of God to deliver Israel. Thus God raised him up in the sense of paving the way to his successorship to the Egyptian throne, without in any way forcing him later to do things contrary to his will. In doing this God followed a principle frequently exemplified by Him. When, for example, God desired to work out gracious features of His plan, like committing the Covenant to Abraham, the saving of a part of the antediluvians to Noah, the deliverance of Israel from Egypt and their leading through the wilderness to Moses, the deliverance of the Jews from Haman to Mordecai and Esther, He chose such agents whose holy characters, freely of themselves, without any external coercion, naturally disposed them to do just what God desired to have carried out. Likewise in carrying out certain wrath features of His plan, He chose such wicked persons, like Balaam, Korah, Jezebel, etc., whose evil characters freely of themselves, without any external compulsion, naturally inclined them to do the wrongs that would further the carrying out of the wrath features of His plan. God does not coerce, but allows men to have freedom of choice. “The most High ruleth in the kingdom of men”; and, in order to accomplish His purposes, He “giveth it to whomsoever he will, and setteth up over it the basest of men”; “he removeth kings, and setteth up kings” (Dan. 4:17; 2:21). Question (1962)—How may we harmonize God’s holy character with the Scriptures (Ex. 7:3; Rom. 9:18; etc.) that teach that God hardened Pharaoh’s heart? Answer—We believe that God’s hardening Pharaoh’s heart was in perfect harmony with His holy character. This will become apparent in part when we remember that not only God, but the Egyptian magicians and Pharaoh himself also hardened Pharaoh’s heart (Ex. 7:3, 22; 8:32); and partly when we consider how his heart was hardened. The magicians hardened his heart by their sorceries (Ex. 7:22), by which they convinced Pharaoh that their gods were as powerful as Jehovah. This made him believe that his gods would assist him against Jehovah, whom he, therefore, did not need to fear and obey. God hardened Pharaoh’s heart by His kindness, whereby at each of Pharaoh’s requests He removed each pertinent plague. Thus God’s goodness occasioned not caused, Pharaoh’s heart to be hardened; while Pharaoh in the wickedness of his own wilful heart, presuming on this goodness, made him harden his own heart. We have often seen some people melted into obedience to the Lord by their belief in God’s goodness to them, which proves that they had good hearts. We have also seen other people, like Pharaoh, hardened into disobedience to God by their belief in God’s longsuffering and kindness to them emboldening them to presume upon His goodness as continuing toward them despite their disregarding His will, which proves that they had wicked hearts. Question (1960)—Since in Eph. 2:7 (A.R.V.) the Apostle Paul tell us that in the “ages to come” God will show “the exceeding riches of his grace in kindness toward us in Christ Jesus,” would we not be warranted in thinking that there may be many Ages of probation beyond the Millennial Age? Answer.—It is true that the Apostle mentions” ages” in the plural, but neither he nor any other Scripture writer speaks of probation in any of the Ages beyond the Millennial Age. St. Paul in Eph. 2:7 speaks of what God will do “in the ages to come” for the “us” class—those who are “in [Greek, en] Christ Jesus.” God loves all, and will show His love for all, but the Christ, the Anointed (the word Christ means Anoint-ed), consisting of Jesus, the Head, and “the church, which is his body” (Eph. 1:22, 23), is especially beloved, and in, on and to these God will manifest the exceeding riches of His favor and lovingkindness, in glorifying and honoring them. This glory and honor sets in during the Millennial Age, and when it and its work are finished, then, says the Apostle, there is yet more glory and honor to be revealed upon and through this glorious Christ—God’s Anointed. Each further step in God’s plan (which will, we believe, include the creation and perfecting of additional orders of beings, on other planets) and each one of the “ages to come,” will open up further developments of God’s unending program and furnish fresh opportunities for the display of more and more of the exceeding riches of Jehovah’s grace and lovingkindness toward those in Christ Jesus, as members of His Body. In a subordinate way God will manifest the exceeding riches of His grace upon and through the rest of the elect also. There is no hint in Eph. 2:7, nor elsewhere in the Scriptures, that there will be a future probation or time of judgment for any of Adam’s race beyond the day He has appointed for the judgment of the world—the non-elect (Acts 17:31). As is shown in the book, The Millennium, pages 179-200, this judgment includes instruction, testing, chastisement for correction and finally sentencing, and the Day of Judgment is the Millennial Age (2 Pet. 3:7, 8). The opportunity for the non-elect to gain the earthly salvation will be during the appointed “times of restitution” (Acts 3:19-21). By the end of the Thousand-year Reign of Christ on earth (Rev. 5:9, 10; 20:2-7) all mankind will have had their opportunity for the restitution salvation. Man and his earth home will then be perfect, and Christ will then deliver up the kingdom to the Father (1 Cor. 15:24-28). Question (1969)—In Mark 9:29 Jesus told His disciples, after their failure to cast out a vicious demon, “this kind can come forth by nothing, but by prayer and fasting.” I am told that the words “and fasting” have been added to the original text and are not genuine. Are we to consider these words as genuine or spurious? Answer,—the words “and fasting” are omitted in the two oldest MSS., and accordingly in some translations, but are retained in all other MSS. and by the ancient Versions. As in the case of the last twelve verses of Mark 16 (see The New Creation, p. 637, footnote; The Bible, p. 631), which likewise are omitted in our two oldest MSS. (the Vatican No. 1209 and the Sinaitic MS.), so in the case of Mark 9:29, Biblical Numerics comes to our assistance and prove this entire verse, including the words “and fasting,” to be genuine. Predestination—Is It For Individuals Or Classes. Question (1928)—What is meant by the statement that God predestinated, not individuals, but classes? Answer.—God did not predetermine any individual to sin or to do right, to be saved or to be lost; for the reason that God’s character, in harmony with which are all His acts, would be violated by such a procedure. For God to predestinate an individual to sin would make Him the cause of sin—a sinner, which He is not. For Him to predestinate one to be lost would also make Him act against His justice and love, which would make Him a sinner. For Him to predestinate any individual to be saved or lost would make Him destroy the free will of such a person, if the latter were a perfect being or destroy the vestiges of such a free will, if the involved person were a fallen being. This, again, is contrary to God’s character and also to His purpose in bringing angels and men into existence, viz., to use them to illustrate the reign of moral law, which presupposes the possession of freedom of will of the vestiges of such freedom. Nowhere does the Bible teach that God predestinates any individual. His predestination is that of classes. We might illustrate such a predestination by a predestination that lawmakers exercise, e.g., lawmakers predestinate that there will be a national army when they pass a law authorizing its creation. In connection with such a predestination they foreordain the size of the army, the number of its corps, divisions, regiments, battalions, companies, soldiers and officers, the qualifications of the soldiers and officers and the various ranks of the officers. In predetermining these things our lawmakers do not predetermine one individual for this army. After the foregoing predestination of the army has been made, training schools are established to prepare students to become officers, the students being selected for certain fit qualities and tested before they are made officers. Also recruiting stations are established and officers are placed there to assist in selecting the soldiers according to the predetermined qualifications. Thus the army, as to its officers and men individually, is selected long after its predestination through passing the authorization act. Predestination—Harmonize It With John 6:64 and Gal. 1:15. Question (1928)—How can you harmonize your view with John 6:64 and Gal. 1:15? Answer.—As to John 6:64 we would say: The difficulty raised is entirely due to an unhappy translation in the Authorized Version. The following rendering takes all the difficulties our of the passage: “But there are some of you who believe not, for Jesus knew from the beginning [of His ministry] that there were some that believed not and that there was someone that would betray Him.” One may ask, Why change the words who to some and to someone in this translation? Our answer is that the Greek word tis (singular), and tines (plural), is both the interrogative pronoun who and the indefinite pronoun someone. The connection will in every case have to show whether the interrogative or the indefinite pronoun is meant. The Authorized Version properly translates the first occurrence of the plural form tines by the indefinite pronoun some in the first clause of John 6:64; and since the rest of the verse gives the reason for and the explanation of the first clause, its plural, tines, should be translated some and its singular, tis, should be translated someone. Thus, according to the proper translation, Jesus foreknew, but did not predestinate, that someone would betray Him. The passage does not teach that He foreknew the identity of the betrayer as the A.V. suggests. Apparently it was toward the end of His ministry that He first was able to know just who the betraying individual would be. While God did not predestinate Judas to betray our Lord, He foreknew it and foretold it. Question (1966)—Is Psalm 23 Divinely inspired, or are we to consider it merely a beautiful, poetical writing of David, similar to what any other talented person might write? Answer.—Psa. 23, like all the other Psalms, and in fact like all the other parts of the 66 books of the Bible, is Divinely inspired, with verbal inspiration. “The prophecy came not in old time by the will of man: but holy men of God spake as they were moved by the holy Spirit” (2 Pet. 1:21; 2 Tim. 3:16, 17; 1 Pet. 1:11, 12). What David wrote in Psa. 23 applied to himself personally, but it had also a deeper meaning and a far more extended application to God’s consecrated people of the Gospel Age. Many have mistakenly applied this psalm to themselves who have not accepted God as their Shepherd—who have not dedicated their lives to Him, do not follow His leadings and do not feed in His pastures. “My sheep hear my voice . . . they follow me” (John 10:27). That Psa. 23 is Divinely inspired is attested not only by internal evidence, the nature of its message, the depth of its meaning antitypically, its harmony with all other Scriptures bearing on the same subject, the truthfulness of its statements as experienced by God’s consecrated people of the Gospel Age, etc. ; but also Biblical Numerics proves it to be Divinely inspired. In our last issue, in the article “Christian Vacationing,” we noted that God has two books of revelation: Creation or nature, and the Bible. We find that He as the Author of both has interwoven the number 7 in both of these books. And it is to be expected from the same Author that He use a key number as a sign of His authorship. The number 7 stands for God and for things Divine—Divine authorship, Divine nature, Divine completion, etc. That creation, or nature, and the Bible are both of Divine origin is manifested by the thoroughness and the intricacy with which the number 7 pervades them. 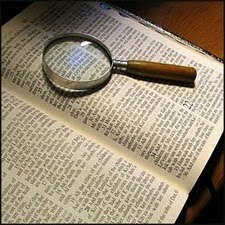 For an extensive listing and description of these occurrences, we refer our readers to our book entitled The Bible, pages 603-630 (price, only $2.30 postpaid). As to Psa. 23, the numerics respecting its vocabularies, forms and words, and their alphabetical distributions in the varied details in which these occur and in the various subdivisions of the psalm, all prove its inspiration. We will not give the details here, but will merely give some generalities on its heptads. In the Hebrew text of Psa. 23 there are 56 (8x7) compound words and 84 (12x7) simple words, each prefix and suffix being counted a distinct word, and 210 (30x7) letters. It contains just 14 (2x7) verbs, 28 (4x7) common nouns and 28 (4x7) prefixes and suffixes. Of the letters (using the English equivalents), v occurs 7 (1x7) times as a consonant, and 7 (1x7) times as vowel; d and ch each occur 7 (1x7) times; the two weak gutturals, a and ai, occur 21 (3x7) times and the strong ones, d and ch, with r, often classed with gutturals, 28 (4x7) times, the gutturals thus totaling 49 (7x7); the three vowel letters, a, y and v, occur 63 (9x7) times. Question (1962)—What is referred to in Psa. 44:22: “For thy sake are we killed all the day long; we are counted as sheep for the slaughter”? Answer.—Surely we would not consider this text as applying to a 12-hour or a 24-hour day. The Apostle Paul shows that this statement is a prophecy applicable to the entire membership of the Body of Christ, of which our Lord Jesus is the Head (Rom. 8:36). Therefore, the “day” is obviously the Gospel Age, the sacrificing part of the antitypical Day of Atonement, in which the humanity of the Church is sacrificed. As on the typical atonement day the typical sacrifices were offered, so all down through the Gospel Age under the High Calling, the Heavenly Calling (Phil. 3:14; Heb. 3:1), the antitypical “better sacrifices [note the plural]” have been made (Heb. 9:23; 8:3; 13:11-13). These “better sacrifices” (pictured in Lev. 16 by the bullock and the Lord’s goat) began with the offering of Jesus’ perfect humanity (with its right to human life and its conjoined life-rights) at Jordan and continued with the presentation of His Body members in their justified humanity at Pentecost, at which time they also were begotten of the Spirit and became New Creatures (2 Cor. 5:17; Gal. 6:15), Underpriests in the Royal Priesthood (1 Pet. 2:9) and members in the Body of the great World’s High Priest (Rom. 12:5; 1 Cor. 12:12-27; Eph. 1:22, 23; 5:30). The New Creature in each case, as a priest, co-operated with Jesus and under His Headship in the sacrificing of his own humanity (1 Pet. 2:5), in harmony with the covenant, which requires sacrifice (Psa. 50:5). Psalms 82:6, 7—Does This Refer To The Judgment Of Christendom At His Parousia. Question (1956)—What is meant by Psa. 82:6, 7: “I have said, Ye are gods; and all of you are children of the Most High. But ye shall die like men, and fall like one of the princes”? Answer.—To understand this Scripture, it is necessary first to understand the context and also our Lord’s application of it. Psalm 82 apparently refers to our Lord Jesus as the Divinely appointed Deliverer and Judge of Christendom at the time of His Parousia, His presence, in the closing of the Gospel Age. The Hebrew word translated “God” and “gods” in v. 1 and “gods” in v. 6 is elohim, which word is applicable not only to Jehovah, but also to others: it is used (1) of judges and rulers (Ex. 21:6; 22:8, 9, 28; 1 Sam. 2:25); (2) of mighty men who were not judges or rulers (Gen. 23:6; Ex. 7:1); (3) of good and bad angels (Psa. 8:5, comp. Heb. 2:7; Psa. 97:7, comp. Heb. 1:6) and (4) of Jesus (Psa. 45:6, comp. v. 7, where Jehovah is mentioned). Likewise, we see that in Psa. 82:1 our Lord Jesus is set forth as the god, the mighty one, who “standeth in the congregation [assembly] of the mighty [among the political, financial, ecclesiastical, industrial, social and labor potentates]; he judgeth among the gods [elohim—earth’s mighty ones].” He rebukes these earthly princes for judging unjustly and exercising favoritism toward the wicked; and He exhorts them to defend the poor and fatherless and to see that justice is given to the afflicted and the needy, to deliver them out of the hand of their abusers. Psychic Phenomena—Regarding The Study Of. Question (1962)—Recently I saw a book on psychic phenomena, entitled ___________. Do you not think it would be well to obtain these books in quantity so that you can supply them to your readers at discount prices, as you do with other books? Answer.—We do not think so. We desire to hold only and strictly to the Bible Standard and to place before our readers only “clean provender.” We can recommend to them only such things as we find to be along the lines advised in God’s Word—the things that are true, honest, just, pure, lovely and of good report (reputable)—we are to think on these things and to stir up one another’s minds with these (Phil. 4:8; 2 Pet. 3:1). We have every confidence that Satan and his evil angels have plenty of power to produce any variety of psychic phenomena, if the Lord will permit them to do so; and we have the Scriptural assurance that He is permitting them to exercise these powers in a special manner at the present time, to deceive, if it were possible, God’s true, enlightened people, and to bring strong delusions upon many, that they should believe a lie, because they do not believe in the Truth (2 Thes 2:9-12). This accounts for many of the so-called “faith healing,” hypnotic, “age regression beyond birth,” “tongues,” “Voodoo,” “Spiritistic” and other psychic phenomena of our day (see our “Faith Healing” booklet—a copy free on request). Pyramid—In Egypt’s Midst, Yet At Border. Question (1977)—How can the Great Pyramid be said to be “an altar to the LORD in the midst of the land of Egypt,” and also “a pillar at the border thereof to the LORD” (Isa. 19:19)? Answer.—The reference here is not to a literal altar, but to a symbolic altar; hence only symbolic sacrifices, not literal sacrifices, belong to it. The Christ is the literal altar of God, typed by the tabernacle’s altars and symbolized by the Pyramid. The Pyramid is on an elevated rocky plain, overlooking the Nile River, not far from Cairo, Egypt. A remarkable thing in connection with its situation is that the Nile delta forms a seacoast, which in shape is a true quarter-circle, with the Pyramid marking the inner angle. A line drawn from the entrance passage due north would pass through the northernmost point of Egypt’s coast; and lines drawn in continuation of the northeast and northwest diagonals of the structure would enclose the delta’s either side, so embracing the fan-shaped country of Lower Egypt (see illustration). Built upon the northernmost edge of the Gizeh cliff, and looking out over this sector, or open-fan-shaped land of Lower Egypt, it may be truly said to be at the very border and in its nominal center, as described in Isa. 19:19. Question (1977)—When was the Great Pyramid built? Answer.—Prof. C. Piazzi Smyth originally concluded that the Pyramid was built in 2170 B.C. He based his conclusion primarily on astronomical calculations. By computing the position of the stars in relation to the Pyramid, he calculated that in 2170 B.C., Alpha Draconis, the chief star of the Dragon constellation, a symbol of sin and Satan, shone down the central axis of the Descending Passage at midnight of the autumnal equinox. He calculated that at preciously this same instant Alcyone, a notable star of the Pleiades group, a symbol of God and the center of the universe, stood exactly on the meridian of the Pyramid, at that point in the heavens, which is at right angles to the downward inclination of the Descending Passage. Prof. Smyth claimed that if 2170 B.C. was not absolutely correct, then the correct date would be “at least closer thereto than the beginning or end of the duration of the Pyramid’s building can be to its middle date.” The relative positions of Alpha Draconis and Alcyone with reference to the Pyramid’s meridian and Descending Passage were very carefully recalculated by the eminent astronomer, Richard A. Proctor, and 2140 B.C. was pronounced by him as more likely to be correct. To this Prof. Smyth agreed, saying in later editions of Our Inheritance on the Great Pyramid that 2140 B. C. might be considered as fairly well established. Thus the autumn of 2140 B.C., probably saw the completion of the building operations on the Pyramid, whereas 2170 B. C., 30 years earlier, probably saw the commencement of these operations; for Herodotus informs us that the Pyramid took 30 Years to complete. Question (1977)—What are some of the scientific features of the Great Pyramid? Answer.—The first work of importance on the subject, proving the Great Pyramid has scientific features, was in 1859 by John Taylor of England. Since then the attention of many able men, including Prof. C. Piazzi Smyth, Robert Menzies, Col. Howard Vyse, Sir Flinders Petrie, Dr. Joseph A. Seiss, Dr. John A. and Morton Edgar, etc., has been given to the further study of the testimony of this wonderful structure and witness. Many such features have been discovered; a few of the simpler ones are presented here. Pyramid measurements are based on the Hebrew cubit, which is 25,027 British inches in length. One Pyramid cubit equals is 25 Pyramid inches. Modern calculations have shown that the Pyramid inch is the 1/2 billionth part of the earth’s poplar diameter. The length of each side of the base of the Pyramid is 365.2422 cubits. Our astronomical or tropical year has a mean length of 365.2422454 mean solar days. Also the perimeter of the base of the Pyramid is 36524.22 Pyramid inches, the length of 100 years expressed in days. Determinations of such accuracy were not possible to man before the 20th century. The angle of slope of the sides of the Pyramid is such that they meet at an apex with a height of 232.52 cubits. The perimeter of the base divided by twice this height produces 3.14159+ or pi, i.e., the ratio of the circumference to the diameter of a circle. This relationship was supposedly first discovered by the Greeks, 2500 years after the Pyramid was built. The mean distance from the earth to the sun is variously estimated as between 91 and 93 million miles. The vertical distance between the Pyramid’s apex and the socket base level is 5813.0101 Pyramid inches. This distance converted to British miles is .091837578 miles. The Pyramid’s height is the one-billionth part of the distance to the sun. The length of the precessional cycle is variously given because the rate of precession is not constant. In popular reference works a period of 25,800 years is given, which approximates its length based on the current rate. However, the figure for the average length of a complete precessional cycle is a mean between its greatest and least possible lengths. These figures are based on computations covering 2,000,000 years, which show the limits of the fluctuation in the precessional rate. John N. Stockwell, M.A., in his Memoir of the Secular Variations, published in Smithsonian Contributions to Knowledge, Vol. 18, states: “the mean value of the precession . . . in a Julian year, is equal to 50” .438239; whence it follows, that the equinoxes perform a complete revolution in the heavens in the average interval of 25,694,8 years.” This figure stated in Julian years of 365.25 days, is equal to 25,695.3 of the true tropical years. The Great Pyramid of Gizeh in a number of ways records this cycle as being between 25,694 and 25, 695 years. For example, Dr. John and Morton Edgar, well-known pyramidologists, after their many visits to and accurate measurements of the Great Pyramid, pointed out that the sum of the lengths of the two diagonals of the Pyramid’s base at the platform level (each being 12,847.1764 Pyramid inches) is 25,694.3528 Pyramid inches, thus indicating that many years; also the same number of inches is found again as the perimeter of the Pyramid at the level of the floor terminal of the Grand Gallery. The position of the Pyramid marks the center of the land surface of the whole earth. There is more land surface in both its meridian (31st degree) and its latitude (30th degree) than in any other meridian or latitude of the globe. Its orientation to true astronomical north deviates only 5 minutes of arc to the west. Such positioning many thousands of years ago required a knowledge of the entire world that could not be humanly ascertainable at that time. Some of the earth-commensurable proportions of the Pyramid which have been worked out include the spheroidal shape of the earth, the proportion of the land and ocean surface of the earth, the average density and cubical bulk of the earth, the obliquity of the ecliptic, the length of the synodic month, etc. Indeed, such knowledge evidenced at such an early age confirms the Divine authorship of the Great Pyramid (Job 38:4-7). Aside from these various earth-commensurable proportions, the Pyramid also demonstrates various mathematical proportions. The Pythagorean theorem is demonstrated in the King’s chamber. Named after Pythagoras, the Greek mathematician who supposedly discovered it, the theorem states that the some of the squares of the two legs of a right-angled triangle equal the square of its hypotenuse. “Pythagorean numbers” are so related, for example 32 + 42 = 52.